The Bloomsbury Freestanding Bath Shower Mixer from Ultra. Classically styled taps, designed and built using the latest techniques, bloomsbury offers traditional tap styling. An ideal choice for those wishing to upgrade a classic bathroom. 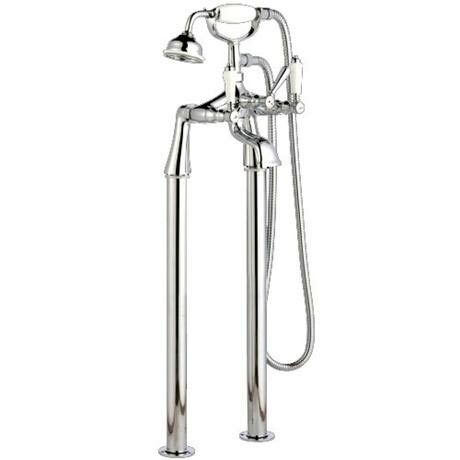 The freestanding heavy duty bath standpipes have a fantastic chrome finish. Great quality for the money, these taps can cost many more hundreds.